These interesting bell jars were reclaimed from a school chemistry department. Bell Jars were used in all sorts of experiments and had to be precision made with thick tempered glass with grounded flat bases. 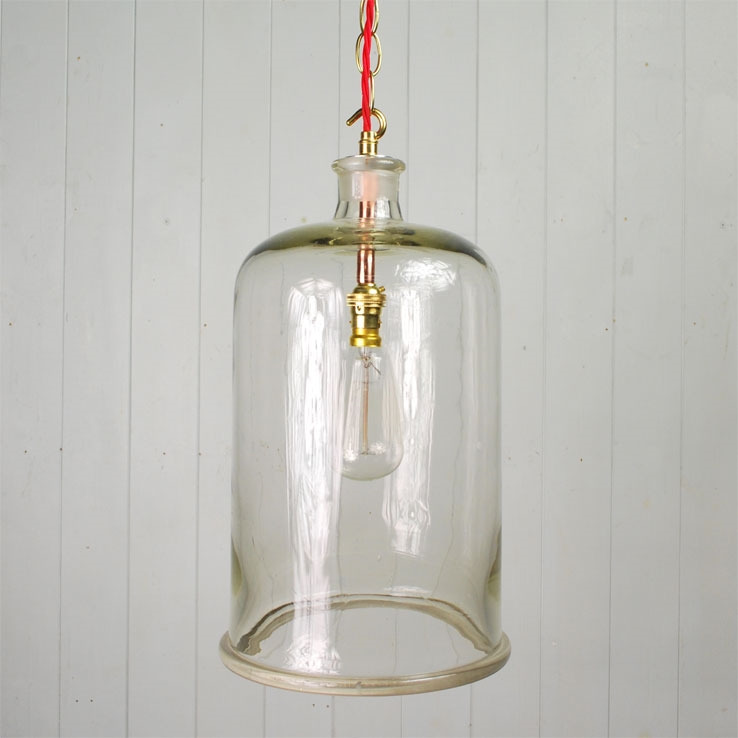 We have converted them into these unusual glass pendant lights - Whether in a line along a corridor, alone, or as a group these bell jars look fantastic and it has taken us ages to source a good batch like this. Supplied with 1.5 m of triple braided flex available in black, satin gold, red, or brown. As the glass is reclaimed there are some small chips, marks and imperfections within the glass. PLEASE GET IN TOUCH TO CHECK AVAILABILITY OF THESE. I currently have 2 of different sizes available.